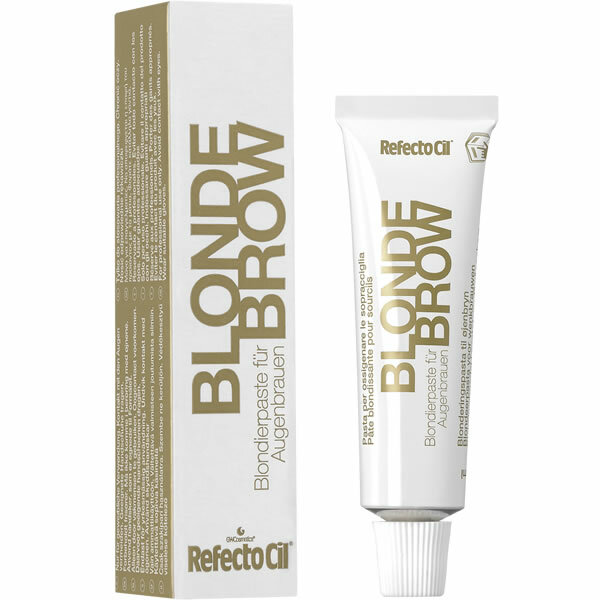 Designed to complement RefectoCil's range of eyelash and eyebrow tints, RefectoCil Blonde Brow is a lightening treatment that'll lift colour up to 3 shades. It's perfect for lightening brows and lashes to match recently lightened blonde hair or to lighten dark hair before using another colour. It's also ideal for tinting grey or white eyebrows as using Blonde Brow first makes it easier to tint them the desired colour. Comes in a 15-ml tube that's enough for around 30 applications. £6.18 (inc. VAT) Why no VAT? We're a trade wholesaler and quote our prices without VAT to help our VAT-registered customers understand the true cost of a purchase. Designed to make mixing and preparation of lash and brow tint simple and clean, this palette features compartments for tints and grooves to hold brushes and applicators. Can be used by both right and left handers. Colour stain remover that's specially developed for the quick and easy removal of tint spots from the skin following an eyebrow tint. Stiff bristled brush that's designed to ensure complete coverage of eyelash and eyebrow tint on each hair to achieve a beautifully even result. Pack of 5 reusable brushes. Designed to cover your clients' lower eyelids to prevent eyelash tint from staining the skin. Boxes of 96, so suitable for 48 applications. High performance eyebrow and eyelash tint that's completely waterproof and smudge-proof and will last for up to 6 weeks. 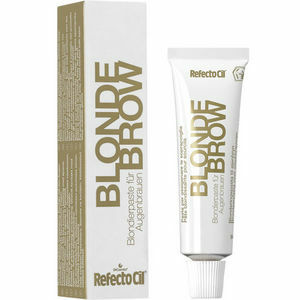 3% peroxide designed for RefectoCil lash and brow tints and available in cream or liquid format. Reusable (up to 100 times), self-adhesive and super-soft silicone pads designed to protect eyelids from skin staining during eyelash tinting. Each box contains 1 pair.